OEM giant Dell has inadvertently fueled Nvidia RTX 2050 graphics card rumours. An eagled-eyed user spotted the entry-level RTX graphics card on a listing for Dell’s G5 15 Gaming Laptop. 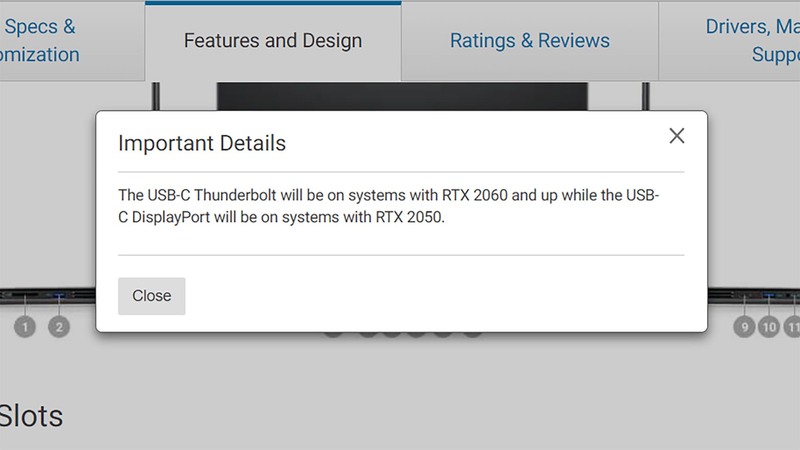 Could it be Nvidia has an entry-level Turing RTX GPU planned for the mobile market, or has someone over at Dell’s Texas HQ made a mistake? Recently the N18E-G0 codename was floated across the web – purported to be an entry-level gaming GPU readying for launch sometime in the near-future. Expected to be the mobile version of the recently launched desktop Nvidia GTX 1660 Ti, early speculation hasn’t ruled out Nvidia adopting the RTX 2050 name for the mobile GPU variant despite its lack of RTX innards. I’ll hold off judgement for now. A full-RTX spec card lower than the RTX 2060 had seemed unlikely due to the silicon required to get Microsoft’s DirectX Raytracing up to speed. By Nvidia’s own admission the RTX 2060 just about scrapes by the minimum requirements for real-time ray tracing. The RTX 2060 has 30 RT Cores and 240 Tensor Cores crammed inside its 445mm2 real estate and that roughly amounts to 5 Giga Rays/s of ray traced performance. Top chip: This is the best graphics card going. With each RT Core tied to the count of SMs, lowering the CUDA count intrinsically lowers a GPU’s potential ray tracing performance. Or at least that’s how the green team has divvied up the GPU in its current 20-series lineup so far. Assuming a somewhat substantial cut to CUDA Count with an entry-level 20-series GPU, an RTX 2050 built on the same foundation as the RTX 2060 and above cards would be less than capable of real-time ray tracing. There would also be a high price to pay for even marginal RTX functionality, too. The large die size of the Turing GPU has been proven too great a hurdle to overcome at the price-conscious entry-level. That’s where smaller GPUs, such as the 284mm2 GPU within the GTX 1660 Ti, shine brighter. The green team isn’t a stranger to shuffling its GPU branding in a nonsensical fashion, yet this latest leak has the potential to be particularly egregious – so I’ll try to give the green team the benefit of the doubt. With the 16-series picking up the mainstream mantle for this generation, one would expect Nvidia to follow suit in the mobile market. The likelihood here being Dell may be acting on assumption in its gaming laptop product listing.